Ever since my parents downsized to a condo, we don’t have the luxury of being able to BBQ in the backyard. So when my mom suggested doing BBQ for the first time at the condo and grilling her famous kalbi for Father’s Day, I took the opportunity to watch and learn her recipe. 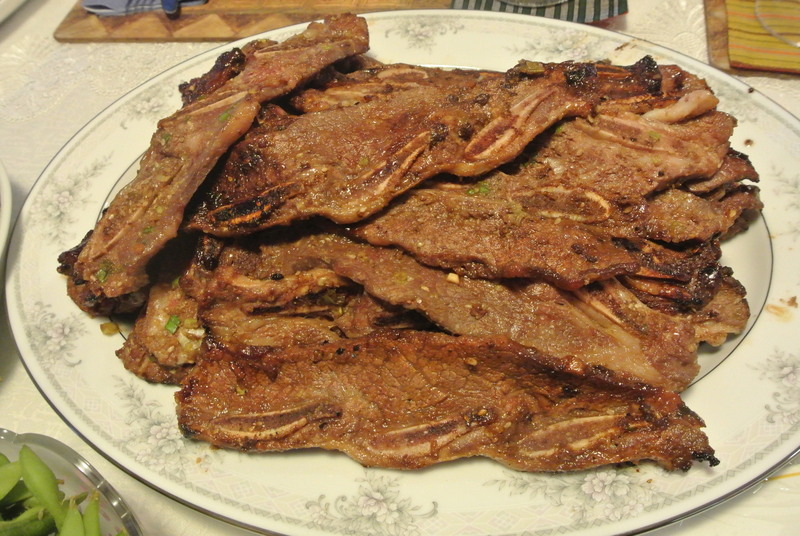 I was known for hosting annual BBQ parties in my parents backyard way back in the day and if you ask any of my friends what they remember, its these ribs (kalbi). 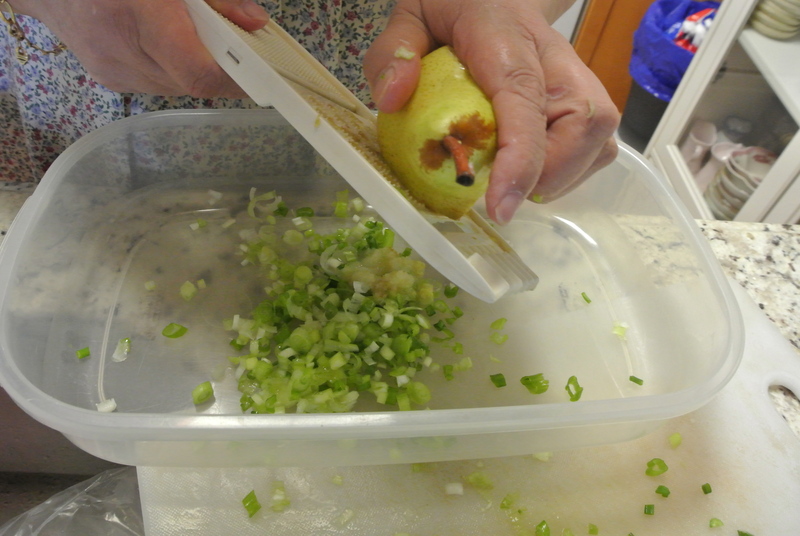 And if you ask my mom what the secret is to her kalbi – its the shredded pear! Unfortunately, there are no measurements….its all in her head so the best I could do was just gauge the amounts and to be honest, it all looks like a ratio of 1:1. 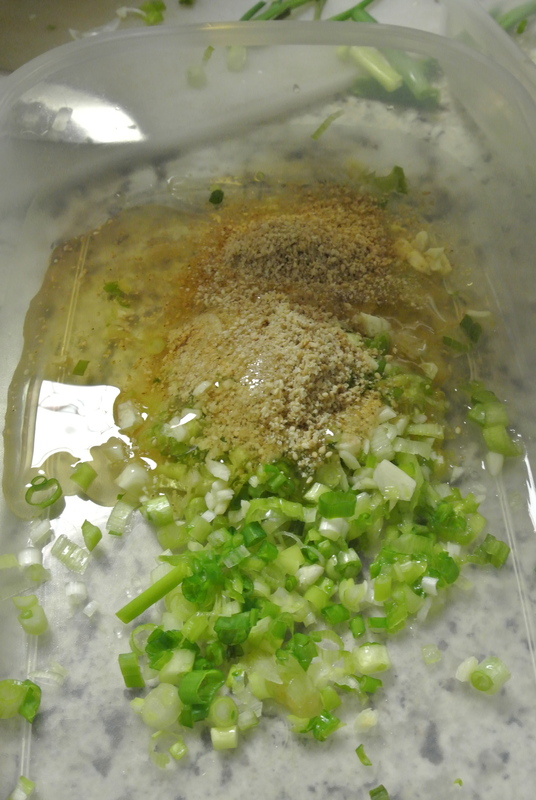 The ingredients: green onions, shredded pear, garlic, honey, ground white sesame seed, sesame oil and soy sauce. 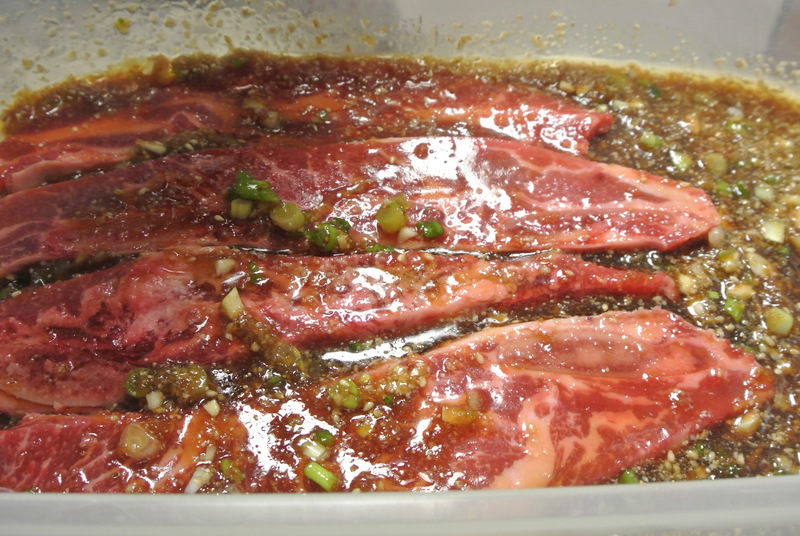 Then marinade the short ribs coating each one in the liquid as you place it in the dish and let sit in the fridge for at least 2 hours prior to grilling. The fire up the BBQ and grill away! Delicious! Green onions and shredded pear. 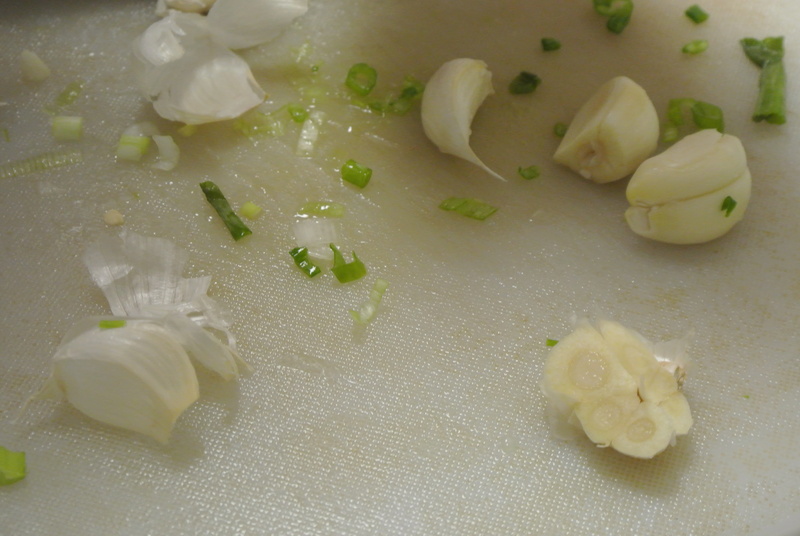 Chopped garlic – about 6 cloves. 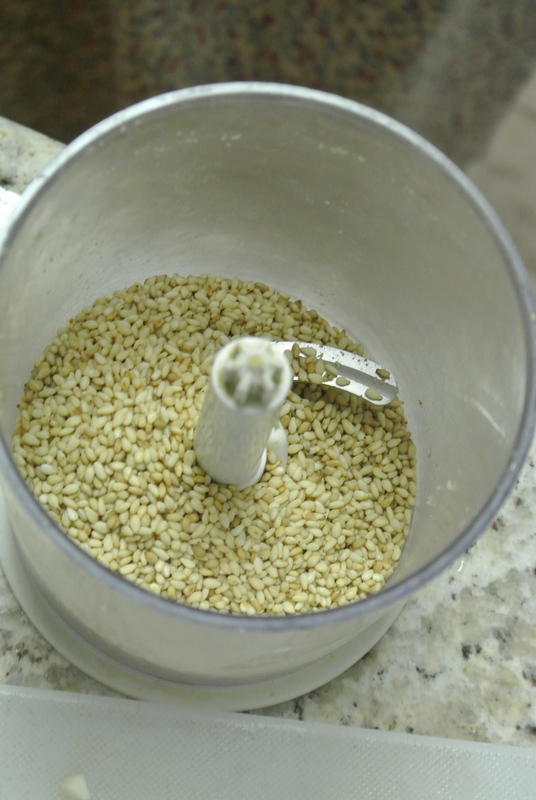 Adding ground white sesame and honey for sweetness. 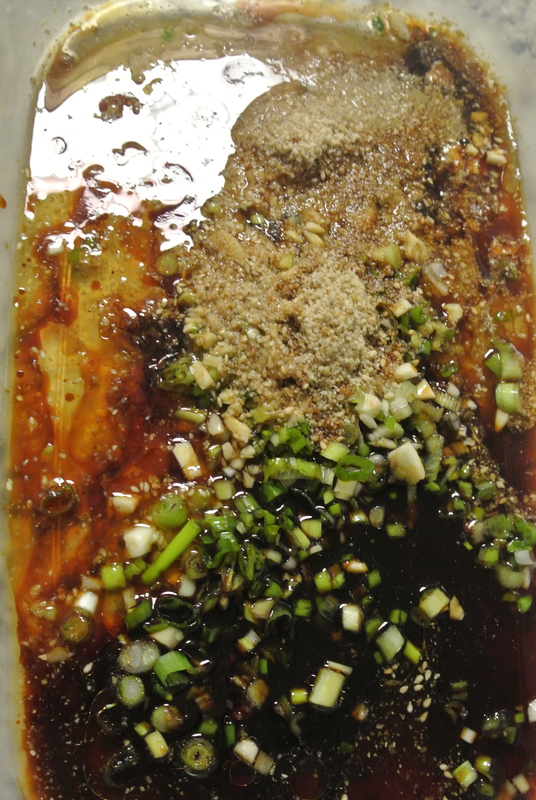 For more intense sesame flavour – adding sesame oil. 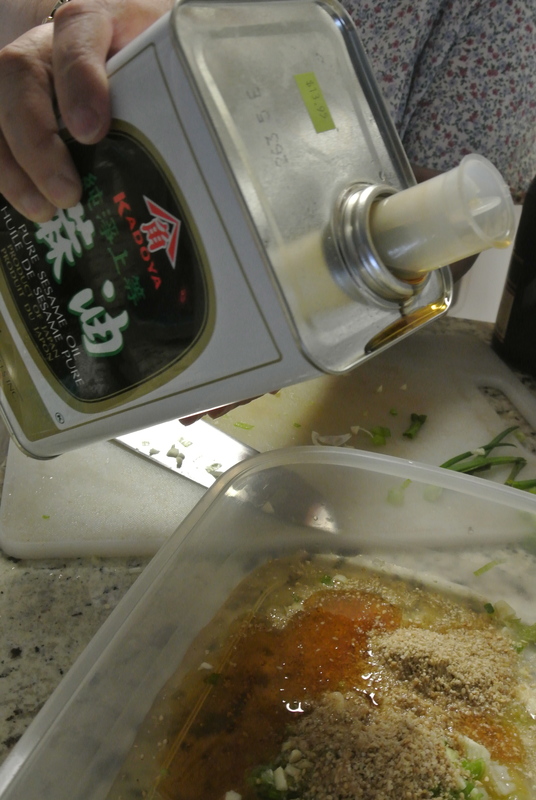 One final ingredient – soy sauce for saltiness. Adding the beef short ribs coating each one on both sides.